Wallet? Check. Keys? Check. Mobile phone? Check. Baby? D'oh! 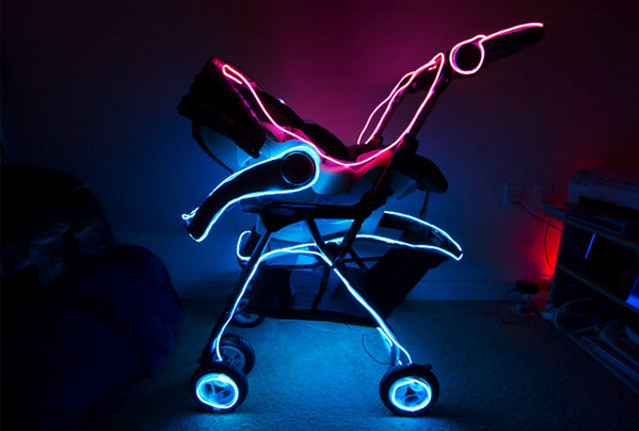 If that sounds like a hectic day you could well find yourself in, new-found father Bhautik Joshi has come to your aid, creating a TRON inspired baby stroller, that radiates at night with electroluminescent (EL) wire. Fun word that 'electroluminescent'. 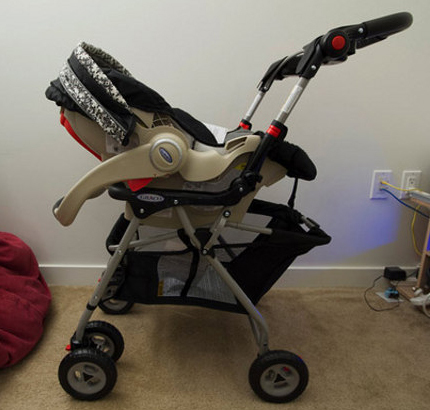 With fatherhood a key part of the Tron: Legacy story, it does seem pretty fitting - although some speakers playing a little Daft Punk Tron soundtrack, to lull baby to sleep wouldn't go amiss I'm sure.